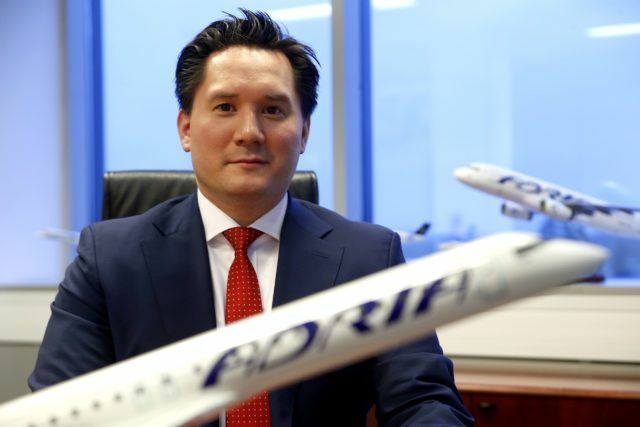 Arno Schuster has resigned from his post as the CEO of Adria Airways for personal reasons after almost two years at the company's helm. Holger Kowarsch, who is the Deputy Chairman of Adria’s Supervisory Board, will take over as of today. Mr Schuster became CEO following the airline’s purchase by 4K Invest and he oversaw the company’s restructuring. He also managed to bring the airline back to profitability in 2016 following record losses in the previous years. “We would like to thank Arno Schuster for his excellent work and contribution to Adria Airways. His leadership and strategic vision were essential for the sustainable growth of the company. We understand that he would like to spend more time in Vienna, where he lives with his young family. Holger Kowarsch will be an excellent successor who will focus on further growth and expansion of the network”, Markus Zollner from 4K Invest said. Holger Kowarsch has over twenty years of leadership experience including posts at Adler Modemakte, Bakelite, Zeitler Sitzmobel, Lanzet Bad, Deutsche Depeschendienst, Missel, Colordruck Pforzheim, AHS Unternehmensberatung, Evotape, Wolfsheck Betriebs, BEA Elektrotechnik, Camping Outlet, ARQUES Austria Invest, bluO International Affiliates, Zugspitze and ZIP Warenhandels. “Under new management, Adria Airways will continue to expand its network of flights and remain a trusted and reliable partner of Star Alliance and beyond”, 4K Invest said in a statement.